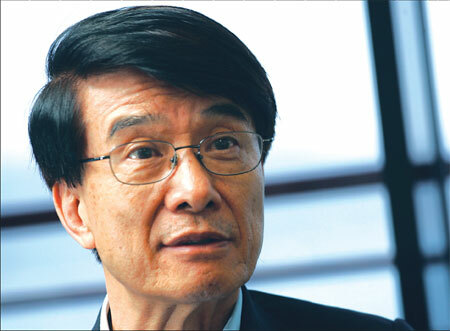 HONG KONG: The mild-mannered, yet dynamic departing president of the Hong Kong University of Science and Technology (HKUST), Paul Chu Ching-wu, who has been at the helm of HKUST since 2001, keeps reminding himself never to lose his temper and never to rush things no matter how desperate the situation may appear. This is perhaps a reflection of the discipline, patience, adaptability, reason and imagination his distinguished scientific and administrative background has required and cultivated. "Distinguished" is, to put it mildly, an understatement: selected by US News & World Report in 1990 as the best researcher in the United States and recipient of numerous coveted awards, including the US National Medal of Science. Taiwan and US-educated HKUST President Chu has been an acknowledged pioneer in the field of superconductivity, as well as a widely respected administrator. Yet, despite a personal history and legacy of such outstanding accomplishment, he remains modest, accessible, human. Chu cares deeply for his students. He was distressed when a mainland student, suffering from stress, took his own life two years ago. Chu sent an email to students and staff after the incident, sharing his feelings and describing how he had been unable to sleep. "The president is not a haughty person," said the university's acting students union president Ivan So Yik-ching. "I once thought that Chu was a sort of person who was too into academics and had a gap with students. But Chu always has fun with students." Chu prefers to maintain a simple, easy-going lifestyle, engagingly evidenced in his practice of eating only a beef sandwich for lunch when he is not attending formal gatherings. Chu believes he is just walking ahead of, but not superior to, students. The door of his office remains open for students to come and chat. Chu regularly greets students as he walks through the campus. His demeanor has made him a popular figure. "I want to be cheerful," he said. The university vice-president Wong Yuk-shan described Chu as eager to help staff. "We have to lobby legislators to support the university's infrastructure projects for the new academic system," Wong said. "Chu is very willing to make presentations to legislators, which is useful in our lobbying." Wong is also impressed by Chu's quest for innovation and creativity. Chu has never stopped his scientific research during the past eight years and still communicates with researchers in the United States. Chu's ambition is to turn the HKUST into Asia's Massachusetts Institute of Technology and the University of California. The goal is not achieved but he says progress has been made. Chu is animated when talking about the research conducted by HKUST. Although he is excited by the achievements, Chu worries that Hong Kong is too heavily dependent on the financial industry. "The stability of society will be affected if there is any turbulence in the financial sector," he said. "The current financial crisis will be nothing after 10 years. The real worry is that we are ignorant about the importance of science." The city, after enjoying an economic boom in the 1970s and 1980s, needs to adopt a new mindset to sustain the development of its economy when its neighboring cities are catching up. "Hong Kong people are not patient enough," Chu said, adding the financial industry can generate quick income but long-term development strategies are needed. Chu said Hong Kong needs policies and measures to support the commercialization of scientific research. Much scientific research conducted by professors in local universities is given to overseas companies to transform the result into commercial products, he said. Chu will continue his research in superconductivity after returning to the United States, where he undertook much of his advanced education, research and high-level governmental and laboratory consulting. After completing a Master of Science at New York City's Fordham University and his Phd at the University of California (San Diego), Chu served at a galaxy of star institutions, including Bell Laboratories, the University of Houston, the Marshall Space Flight Center and as the director of the Texas Center for Superconductivity - piling up along the way prestige memberships that include the US National Academy of Sciences and the Chinese Academy of Sciences. He says his dream is to follow his father-in-law Chen Shiing-shen, who spent his entire life immersed on mathematics. If the very outgoing HKUST president's career, character and personality provide any clues, he will leave a huge footprint following in those inspiring footsteps.